As we’ve mentioned before, the Clintons need to get paid. They just have to get paid for all the good they have brought to the Democratic Party over the past couple of years—and by good, I mean a total election defeat in 2016 and the fracturing of the party. There’s a civil war occurring within the party. The establishment wing and the ascendant progressive wing that has found their hero in Sen. Bernie Sanders (I-VT), who isn’t even a Democrat. The far left had huge wins Tuesday night. Yet, even with the party reeling from their 2016 wounds—wounds Hillary had a hand in inflicting with her shoddy campaign—the lady needs that dough. 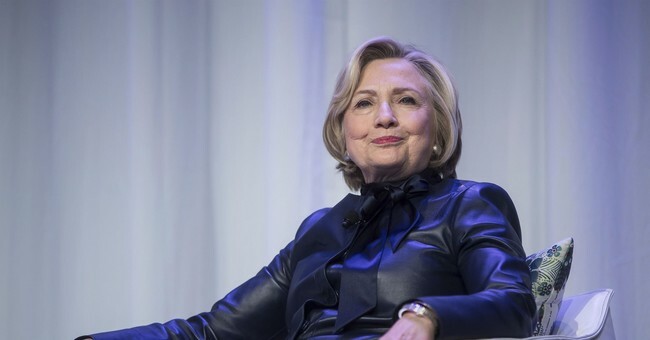 Former Secretary of State and two-time failed presidential candidate Hillary Clinton will be giving her highest priced paid speech ever this evening when she addresses the Democratic National Committee (DNC) Women’s Leadership Forum in Washington, D.C. The Democratic National Committee (DNC) is effectively paying Clinton nearly $1 million to speak at the Women’s Leadership Forum, an annual Democrat fundraiser, on Thursday. The DNC and Democratic Congressional Campaign Committee (DCCC) have paid Clinton’s political organization, “Onward Together,” nearly $900,000 for list acquisitions.